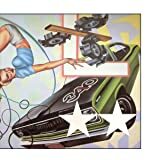 5.0 out of 5 starsGreat Re-Release Of A Great Cars Album! Exceptional Extras! 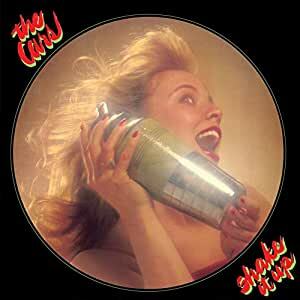 Shake It Up was a bit of a transitional album between the more experimental Panorama and the highly commercially successful Heartbeat City. You will find tracks reminiscent of the debut and Candy-O along with hints of the high production value Heartbeat City to come. 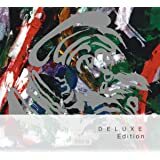 I found the early versions of tracks on the expanded edition to be some of the most interesting of the recent re-releases. All of the recent expanded edition Cars releases are exceptional so this just means these are some of my favorites. In addition to early/demo versions of songs you likely know, you also get "Little Black Egg" which is uncommon as it was The Cars covering someone else's song, and "Midnight Dancer" which is great as we get to hear the late Ben Orr sing again. 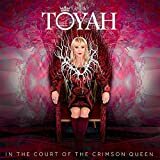 A great set and a wonderful addition to any music lovers collection! My review is of the quality of the remastering. I'm suspicious of many recently remastered cds. Many have the volume increased and the dynamic range minimized. In my picture I compare the remastered wave of "Since You're Gone" against the original pressing. While the volume was increased & occasionally peaking into the lower regions past 0, it doesn't look like the dynamic range was squeezed. While listening to the remastered cd, I could not hear any distortion. Plus, I hear more space between the instruments. The sound stage is bigger on the remastered cd. 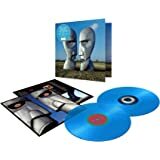 The remastered cd is a digipack ( no jewel box ) and is trifold. It has a small booklet containing production notes from David Robinson, the Cars' drummer and has more artwork than the original cd. Like the original, lyrics are included. 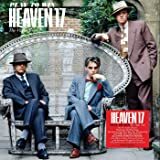 5.0 out of 5 stars"Don't ya worry 'bout two left feet..."
Another in the line of The Cars re-issues with alternate and demo versions and couple of non-LP tracks - "Little Black Egg" (very odd) and "Midnight Dancer" (nice to have something "new" by Ben Orr, RIP). Ric Ocasek is possibly the most interesting lyricist of all time - "Since you're gone - everything's in perfect tense". Amazing LP with awesome Deluxe Bonus Tracks - I am Floored !! 5.0 out of 5 starsIts The Cars ! 1 , its The Cars , and forgive me, but they are one of my favorite groups ! 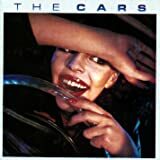 In the time of this album, The Cars were watching the punk era of cbgb's coming of age, while a new wave invasion was pushing the musical direction into a completely different sound . This was a time of heavy synths, erratic guitars, and beats which ranged from dance to classic metal and everything in between . 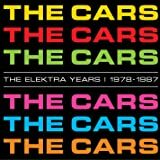 There was an ethereal sound to Love songs, and a carefree rhythm to rock, and the Cars captured the sound of this era perfectly ! 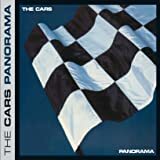 If you are a Cars fan, this is a must Have cd , if you are not but like the era, its one worth grabbing just to listen to the Cars mastering the sound style of the time , its an amazing piece of musical pleasure, worthy of an "eargasm" if you like the genre ! Enjoy !